Navigate to the options button. 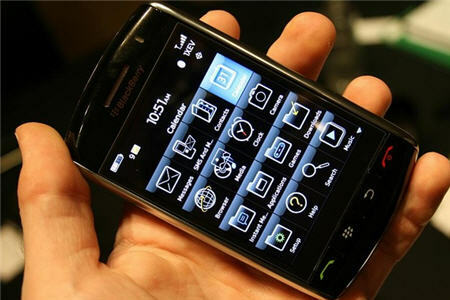 You may need to do a battery pull on your Blackberry if your computer does not recognize the USB drive after these steps are completed. Make sure you checkout our DoTheWeb DVD to Blackberry Converter Tool to transfer your favorite movies to your Blackberry! What movie did you try, and what region are you in? Previous Previous post: Introducing The FREE DoTheWeb.net DVD to Blackberry Converter!